Have an exotic animal? 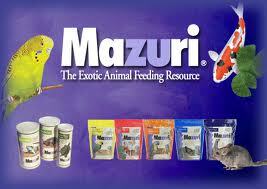 Argyle Feed Store carries Mazuri Feeds for exotic animals. Backed by extensive research, Mazuri feed products are hormone and drug free. It’s FSSC 22000-certified which is the highest standard certification you can achieve. Owned by owned by PMI Nutrition, a subsidiary of Land O’Lakes Purina Feed, LLC, these high standards and testing must be adhered to. Check out our exotic animal section at the store. Right now we are carrying llamas, mini pig, ferrets, tortoise, rabbit, koi, and chinchilla Mazuri feeds. Looking for a feed for a special animal species? Let us know! Trust the Mazuri Feed Promise!